Whitney Houston died this afternoon … a rep for the singer announced. She was 48. Our sources tell us a member of Whitney’s entourage found her in her 4th-floor room at the Beverly Hilton hotel … and called hotel security – who then dialed 911. When paramedics arrived Houston was found unresponsive. We’re told police arrived to the scene within minutes and fire was already there on an unrelated call. According to our sources, paramedics performed CPR but it did not work and she was pronounced dead at 3:55 PM. Our sources say there were no obvious signs of foul play, but BH PD detectives have begun a full investigation. We’re told she was ID’ed by family and friends. The singer famously battled drug addiction for years (see related links below). Houston was seen out in Hollywood Thursday night for a Grammy party … and she did not look well (below). She even briefly took the mic and performed a song while she was there – what would become her last performance. Houston won two Emmy Awards, six Grammy Awards, 30 Billboard Music Awards, 22 American Music Awards during her record-breaking career. 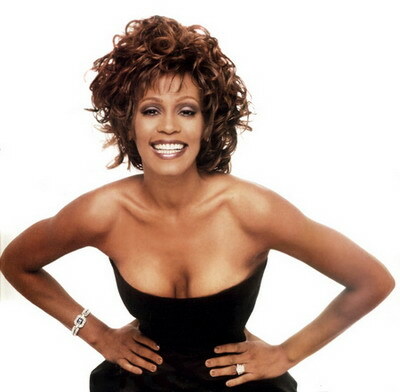 Her album “Whitney” was the first female album to ever debut at #1 on the Billboard Charts. She has sold 200 million albums worldwide. Houston had one child (Bobbi Kristina) with husband Bobby Brown. Houston and Brown were married from 1992-2007. Houston’s publicist confirmed the singer’s death to ABC News. The cause of death is not yet known. Representatives from the Beverly Hills Police Department confirmed that the singer died in a hotel room at the Beverly Hilton hotel. Police got a 911 call from hotel security at 3:43 p.m, P.I.O. Lieutenant Mark Rosen said. Efforts to revive her were unsuccessful and she was pronounced dead at 3:55 p.m. Houston’s daughter (Bobbi Kristina) were among the people that were immediately notified of her death. Rosen said Houston’s cause of death has not yet been determined and no “obvious signs of foul play” have been seen. Houston was scheduled to perform Saturday evening at a pre-Grammy Awards party for producer and mentor Clive Davis. The party went on despite the star’s death, and the presence of numerous police vehicles, including a crime lab bus, outside the hotel. Among the stars and celebrities who showed up for the party were singer Alicia Keyes, soul legend Gladys Knight, entrpreneur Richard Branson, and jazz great Herbie Hancock. Houston’s mother (Cissy Houston) and her cousin (Dionne Warwick) reportedly both spoke to the singer during the day and had no indication that anything was wrong. Warwick spoke to her over the phone to check that they were seated at the same table at Davis’ party and Cissy Houston talked to her at around 3:15 – according to TMZ. Just a half an hour later, someone in the singer’s camp called 911, and she was pronounced dead 10 minutes later. Houston was last photographed on Thursday, when she appeared disheveled and disoriented in front of the Tru Hollywood nightclub that played host to a pre-Grammy Awards party. According to the Hollywood Reporter, she got into an altercation with “X Factor” finalist Stacy Francis at the event, where she was said to be acting “belligerent.” On Friday, she was partying loudly at the Beverly Hills Hilton – according to TMZ. Houston returned to rehab in May of last year seeking treatment for drug and alcohol dependence. “Whitney voluntarily entered the program to support her long-standing recovery process” – her publicist said at the time. Publicist Kristen Foster first broke the news that the singer had died, but gave few details. Marc Rosen, of Beverly Hills police department, has since said she died at 3.55pm Saturday US time (10.55am today AEDT) in a fourth-floor room at the Beverly Hills Hilton hotel. He said police received the call at 3.43pm. She was pronounced dead minutes later after hotel security and rescue officials were unable to resuscitate her. “There were no obvious signs of any criminal intent” – he said. Some early reports said she was found by on-off boyfriend Ray J. A police crime lab vehicle was reportedly seen outside the hotel shortly after her death was reported. News of Houston’s death came on the eve of music’s biggest night – the Grammy Awards. It is a showcase where she once reigned, and her death is sure to case a heavy pall on the ceremony. Houston’s longtime mentor Clive Davis was to hold his annual concert and dinner but it was unclear if it was going to go forward. Houston’s ex-husband of 15 years (Bobby Brown) is said to be “struggling” with the news. At her peak, Houston was the golden girl of the music industry. From the middle 1980′s to the late 1990′s, she was one of the world’s best-selling artists. She wowed audiences with effortless, powerful, and peerless vocals that were rooted in the black church but made palatable to the masses with a pop sheen. Her success carried her beyond music to movies, where she starred in hits like The Bodyguard and Waiting to Exhale. This entry was posted on Sunday, February 12th, 2012 at 3:19 am	and is filed under Tragedy. You can follow any responses to this entry through the RSS 2.0 feed. Both comments and pings are currently closed.